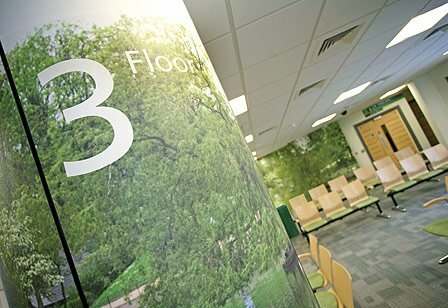 Working with the Oldham College and NHS Oldham, this project promoted the new Integrated Care Centre (ICC) and involved students and the public in its Signage, Way-finding and Art strategy. There are six clinical floors within the ICC. The way-finding strategy means that each floor has a unique identity to help patients easily navigate through the building using ‘simplification systems’ – colours, signage, art, photographic images. The strategy aimed to develop individual floor identities which promote ‘Wellbeing’ using the photographic images of local environments. Working with Oldham College visual arts students, the project aimed to ‘Invest in Local Talent’ and give the college and students an exciting ‘live’ high profile project to work on. 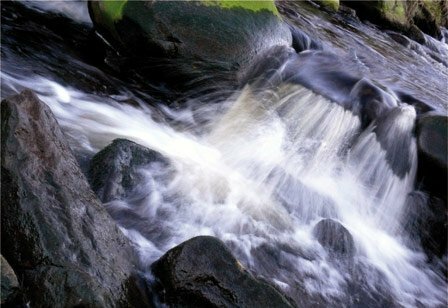 Setting a photography competition for the students – recognising the local natural environments around the Oldham borough, and aiming to bring the natural environment into an urban setting. Displaying the shortlisted images at various locations around Oldham in conjunction with the Festival of Diversity celebrations (12th July – 13th Aug), giving the local people the opportunity to find out about the project and vote for their favourite photographic images. The photography competition involved students from Oldham College taking photographs of local environments in and around Oldham. To enable a range of natural images it was decided that the photographs should be taken over the different seasons, allowing for an autumn, winter, spring and summer shoot. Each of the six clinical floors has an identified colour and students were briefed to align their photos with the respective colour accents. Once submitted, the images were then put in front of a judging panel, comprising of Community 1st Oldham, Oldham College and NHS Oldham. A shortlist of five images per floor / colour category, totalling 30 images was then selected. The shortlisted images were displayed across Oldham as part of the Festival of Diversity celebrations. The photographic exhibition played a large part of the festival launch. The public were invited on a window gallery tour around Oldham, led by Oldham College, where the shortlisted photos and other artwork were displayed in various windows around Oldham Town Centre. Along with the individual images, a large exhibition display was installed in Oldham Library and the Civic Centre, where the public could vote for their favourite image. To mark the success of the project, and to present the winning student with their prizes, an awards ceremony was held at the Oldham College on 15th September 2008. 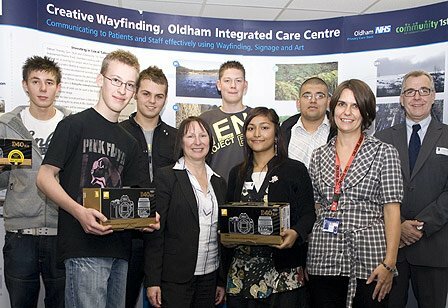 The winning students each received a Nikon SLR digital camera that was presented to them by Gail Richards, Chief Executive of NHS Oldham. The winning images were used to create a ‘landscape’ on each floor of the ICC, being resized to cover one wall and giving that floor the unique identity to complement the signage. This helps patients to easily navigate the building and provides a striking focal point on each floor.